One figure skater is accused of following her rival by allegedly stepping on her skates. This story sounds similar to an incident between two Olympic skaters who fascinated the world years ago. Collisions happen again and again, but in this case, the story may get out of control. 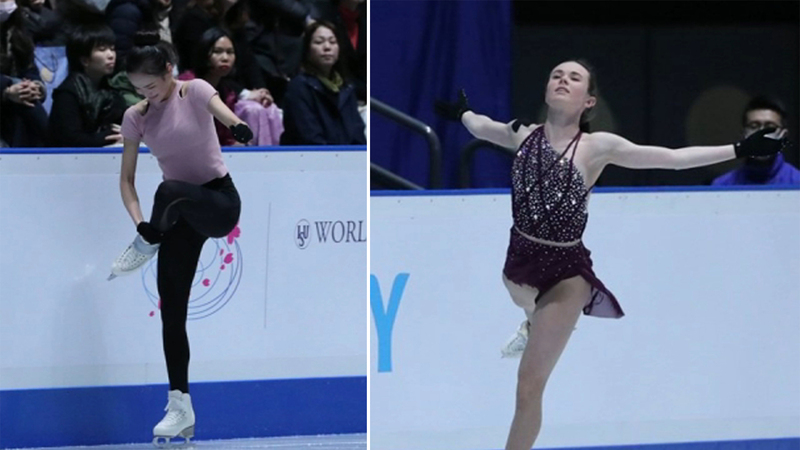 In a world where artists radiate grace and serenity, there is now a conflict in Japan between rival skaters in a world competition. American Mariah Bell is accused by South Korean Lim Eun-soo of harassing Lim and intentionally kicking Lim during a warm-up. Pictures show the grimace on her face. Mirai Nagasu is a member of Team USA. Eyewitness News reported on Skype when she saw the incident on social media. "These things happen, the attention she receives is enormous, but at the same time, I think it just looks like an accident to me," Nagasu said. Figure skating was shattered when Olympic rival Nancy Kerrigan dropped to her knees. A skating panel concluded that their rival Tonya Harding knew about the attack. On Instagram, a prosecutor wrote to Bell: "Looks like you're the next Tonya Harding. Do not try to win by cheating …"
"I've been on the rink several times and NO one has bullied anyone … What happened in the warmup was an accident …" he said on Twitter. "Based on the evidence available containing a video, there is no evidence that Ms. Bell wanted to harm Ms. Lim." "It looks like Mariah is running forward, that she passes Eun Soo … so it looks like an accident," Nagasu added. The incident occurred during a critical preparatory phase. Each skater is given a chance to practice with his music and focus. One reason why Nagasu suggests is why Bell did not stop and apologize to Lim. "When your program is running, you are in another world," she said. Skating officials met with US and Korea teams. They urge both sides to find an amicable solution.